Ever thought how easy it would be to remove make up with just water? Well, the Magnitone wipe out make up remover offers just that. I know there are a lot of these on the market, but when I got the Magnitone version in my Advent calendar I couldn't wait to try it, and was holding off to do so when my husband could take me some good blog pictures, however, I then decided to just film the process and now I am going to share with you a roundup of my overall thought after using this a few more times. You might want to start by looking into my first impressions, here, if you want to see my initial thoughts on the product and see it taking off my make up, which was reasonably heavy on that day. I was really insure what to expect and so I was glad to have shown my experience. The cloth itself is a really soft, slightly fluffy piece of material and is really nice to touch. I like that it is really soft as there is nothing worse than a rough flannel, and I did wonder if it would be slightly textured in order to have some sort of exfoliation technique for breaking down make up but it isn't rough like I suspected it could be. The light pink colour shows up all the make up easily which helps to see where the cloth is dirty and which side has been used. I like that it has the little hook loop as that means you can hang it up if you want, but I just leave this on my bathroom shelf when dry, or pop it on the radiator to air and dry when wet ready to be used again or go in the wash. The instructions for this are to machine wash when you first receive it, which I did. This kind of also clarifies that it doesn't have some sort of cleanser product on it, as if it did it would simply wash off in the washer. I washed it and then came to use it, where you simply wet with hot water and then remove your make up in circular motions. I deliberately tried this on a day where I had wore the most dramatic make up I could get away with and would chose to wear and thought I would put it to the test. While this did remove my make up with gentle rubbing motions on my skin, I did feel like the thick full coverage foundation, with a primer, concealer and powder gave it a slightly harder fate. 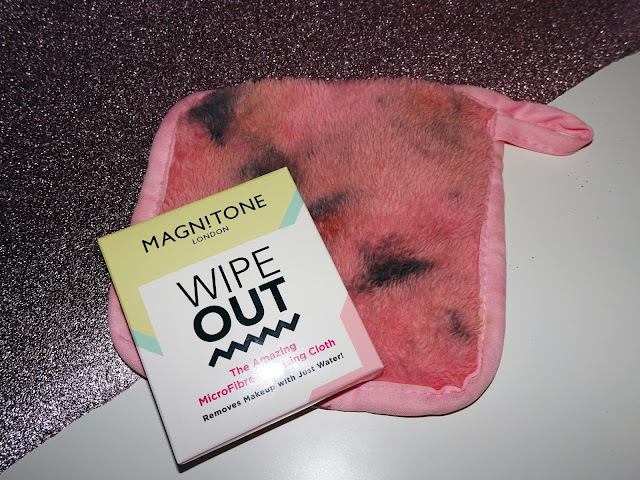 This did completely remove my make up and I was really impressed with the result as I had waterproof liner and dark shadows on, however it didn't leave my face feeling completely clean. I think one element of this is that I felt like I hadn't used soap, which I guess I hadn't, but I think my brain is conditioned to feel like if I don;t use a cleanser my skin isn't clean. I have to admit, even face wipes make me feel that way and they technically have product on, so I don't think this is cloth itself, more the long standing ideology of needing to use 'soap and water' to get clean. I did persevere and refuse to use cleanser, just following this up with toner and the rest of my skin care and I do think my face was clean after using this. Overall I found that this did remove my make up and did make my face feel clean. While I do feel like this is one that I will use again and again, it is something I will safe for days when I am wearing lighter make up and not the full coverage heavy make up as personally, I find an oil strips it off my skin pretty quick and I do get that clean feeling from the cleanser. 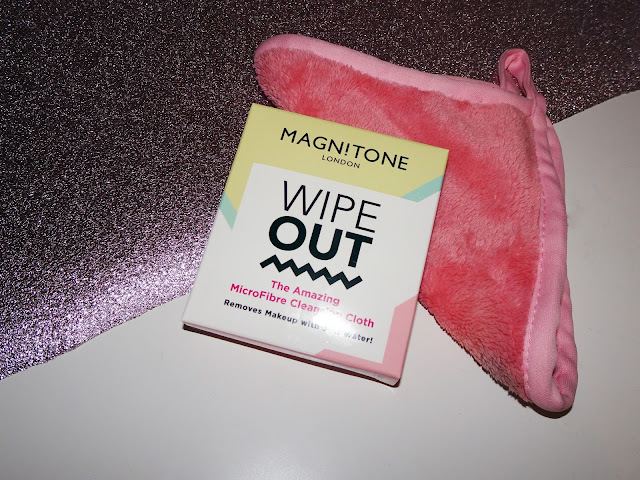 This is one I will regularly look to when I am having lazier days, the ones where you really don't want to wash your face and would normally reach for a face wipe rather than wash it, as it will be like using a face wipe and no product. I do think I will use it a lot, but at £15 for two of the full size cloths, here, I don't think it is something I will use enough to benefit having more than this small square which I can probably squeeze 3-4 make up removals out of if I needed to. Let me know if you have tried one of these in the comments as I would love to know your experience with it!